The official site for Seminole alumni and fans in Northeast Florida! 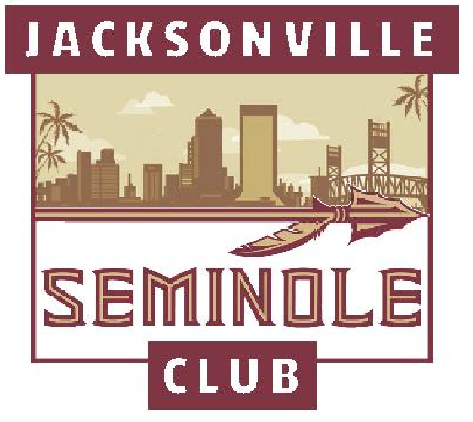 By supporting FSU you are automatically a member of the Jacksonville Seminole Club! There are numerous ways you can support our wonderful University, and you can read about them here. We encourage you to support both our Alumni Association and Seminole Boosters organizations – below is more information on each. You asked for easier access to your member benefits, and we heard you. Instead of waiting for your member card to arrive in the mail 4-6 weeks after you join or renew, you can access your member card in our mobile app within 2-3 business days and receive your personal redemption code for the FSU Alumni Reward Zone via email in about 3-5 business days. We understand that mobile access isn’t right for everyone: after you join or renew, you can let us know if you still want to receive a membership card via mail. Every Annual, 5-year and Life membership includes the option to add a second member within the same household at no additional cost. Active service members and veterans are eligible to receive a discount membership rate; a civilian may be added as the second member (optional). Please login to your oneFSU profile and verify your military service is accurately identified. 5-year Members: ready to upgrade to Life membership? Log in to oneFSU to access your exclusive rate. Current students at Florida State University are invited to join the FSU Student Alumni Association. Current employees at Florida State University may be eligible to use payroll deduction for FSU Alumni Association membership. Download the payroll deduction authorization form. Funding comprehensive excellence in competition and in the classroom. As the fundraising arm of Florida State University Athletics, Seminole Boosters, Inc. is responsible for engaging fans, alumni and loyal supporters of FSU in order to generate financial contributions for the purpose of enriching the overall educational and athletic experience for over 500 student-athletes participating in 20 sports programs by providing financial security for long-term growth and prosperity. Seminole Boosters, Inc. is comprised of loyal and generous donors dedicated to enhancing the student-athlete experience in support of the University’s mission to instill the strength, skill and character essential for lifelong learning, personal responsibility and sustained achievement. By becoming a contributor, or by maintaining your contribution in support of FSU Athletics, you help support one of the most visible and successful programs in the nation. Contributions made to Seminole Boosters provide the financial framework that makes winning possible through scholarships, academic and medical services, facilities, and championship caliber coaches. The Florida State University Athletics program is completely self-sufficient and does not receive funding from the State of Florida or Florida State University. Funding for the entire athletics budget is comprised of revenues generated from Atlantic Coast Conference distributions, sponsorship agreements (via Seminole IMG Sports), ticket revenue and generous contributions from over 18,000 Seminole Booster members. In Fiscal Year 2013-14, Seminole Boosters supplemented the athletics operating budget by transferring $24M to help cover the cost of scholarships, maintain and upgrade some of the best collegiate facilities in the nation and provide our student-athletes with academic and medical services that give them the winning edge in the classroom and in competition.